Boston Scientific has announced the US launch and first use of its OffRoad re-entry catheter system, designed for the treatment of complete arterial blockages in the major arteries of the legs. The arterial blockages, called chronic total occlusions, are associated with advanced peripheral artery disease. The first use of the OffRoad System was performed at Metro Health Hospital in Wyoming, Michigan. Boston Scientific has designed the OffRoad re-entry catheter system to aid clinicians navigate around complete arterial blockages by traveling within the tissue of the vessel wall (subintimal space). After passing the blockage by the catheter, a conical-shaped positioning balloon is used to expand the subintimal space and direct a micro-catheter lancet to re-enter the vessel. This enables the physician to position a guidewire across the occlusion and to then treat the blockage using traditional endovascular techniques such as angioplasty and stenting. Boston Scientific Peripheral Interventions president Jeff Mirviss noted chronic total occlusions represent one of the most challenging forms of peripheral artery disease, putting patients at great risk of limb amputation and major cardiovascular events such as heart attack and stroke. "Physicians rely on a variety of technologies and techniques to treat this condition, and with the addition of the OffRoad Re-Entry catheter system, we believe Boston Scientific is well-positioned to meet those needs with a complete portfolio of CTO solutions," Mirviss added. The OffRoad re-entry catheter system has obtained the US Food and Drug Administration approval in 2013 following favorable data from the Boston Scientific’s Re-Route clinical trial. In the Re-Route clinical trial, investigators have successfully navigated around challenging chronic total occlusions by using the OffRoad system. The success rate was 84.8% of the enrolled patients. 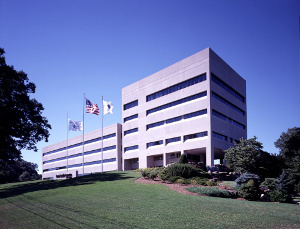 Image: Boston Scientific’s corporate headquarters in Natick, US. Photo: Courtesy of Boston Scientific Corporation.